Travel Japan by Train ? by Bus ? Try Hitchhiking ! Santa Hitch-hiked over 6,000km around Japan. We interviewed her at Kanalian after her trip. Why did you decide to hitchhike in Japan? Is hitchhiking just a way to get from one place to another? Of course not. It’s a lot more than that. I never go sightseeing, and the most important thing is to talk with local people and stay with them. I wanted to see people’s regular day; what they do when they get up, and so on.Hitchhiking is the best way to do accomplish that. On the first day my friend in Tokyo took me to a highway service area, and I stood just outside the area and put my thumb out. I was nervous and expected to be there for hours, but it was maybe three minutes. How much Japanese did you speak before you started your trip? I understood the questions people asked, but I couldn’t put a sentence together. But, I spoke for many hours every day and used my Japanese a lot. So now I can talk for hours non-stop. I talk too much. Where did you hitchhike to? I started in Tokyo and went to Soya Misaki, Hokkaido, the northernmost part of Japan. Then from Wakkanai I went to Kagoshima the southernmost of Kyushu, and from Kagoshima back to Tokyo. How is Hitchhiking in Japan ? 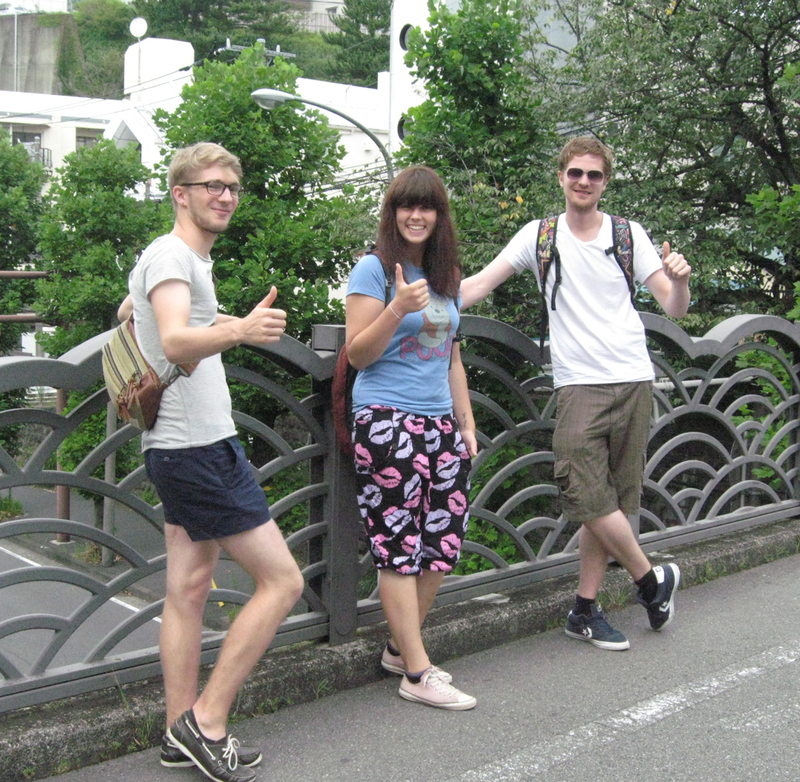 Japan is the best country for hitchhiking in the world. People are willing to help. They want to create a good impression of Japan and Japanese people for you. Even the Japanese police are very nice. And I think in Japan it’s much safer. Here people usually pick you up not because they want you to entertain them or something else, but because they’re worried about you. How long did your trip take? About one and a half months. I started at 6 or 7 in the morning, and I was at my destination at 12 or 1. How many people picked you up? About 200. I didn’t have many long rides, except if I was lucky enough to find one in a highway service area that was going to my destination for the day. So how do you find someone who’s going to your destination? It’s very easy, because every car’s number plate shows the prefecture where the person lives. So I looked at the number plates and find one with the prefecture I want to go, and wait for them to come to the car. When Japanese people see a single backpacker waiting, they will go to the person on their own and ask where they’re going and offer a ride. So if you come back to Japan again, will you hitchhike again? I think I’ve already seen a lot of Japan, so if I hitchhike it would be the same roads again. Next time, I will walk. Posted by lee at 5:35 PM	Tagged with: hitchhiking, Travel Japan by Train ? by Bus ? Try Hitchhiking !